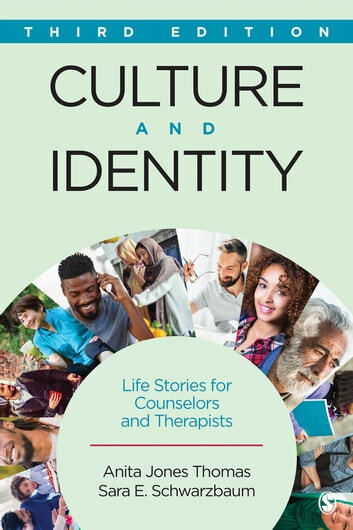 Culture and Identity by Anita Jones Thomas and Sara E. Schwarzbaum engages students with autobiographical stories that show the intersections of culture as part of identity formation. The easy-to-read stories centered on such themes as race, ethnicity, gender, class, religion, sexual orientation, and disability tell the real-life struggles with identity development, life events, family relationships, and family history. The Third Edition includes an expanded framework model that encompasses racial socialization, oppression, and resilience. New discussions of timely topics include race and gender intersectionality, microaggressions, enculturation, cultural homelessness, risk of journey, spirituality and wellness, and APA guidelines for working with transgendered individuals.